Although I am much better, my kids are still fighting their colds. Last night I decided to go the more traditional route, dinner-wise, in an attempt to help them get well. I don’t know that it actually helped, but it didn’t hurt at any rate, and it was pretty tasty. I made up a batch of chicken noodle soup based roughly on the recipe on page 125 of the Joy of Cooking (2006 edition, Rombauer & Becker). I added carrots and rosemary mostly because it’s what I happened to have around the house. 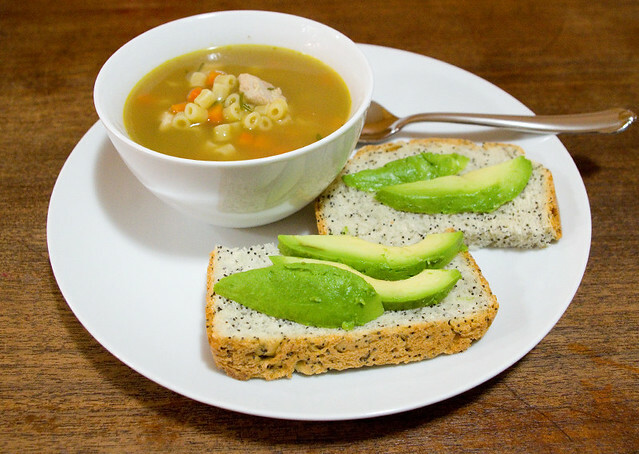 I served the soup alongside fresh-baked Poppy Seed Loaf (page 138, Bread Machine: How to Prepare and Bake the Perfect Loaf (Jennie Shapter, 2002)) with avocado slices on top. Unlike me, the rest of the family ate their bread with butter and scooped the avocado out of the skins directly with a little bit of salad dressing on top. Last night ended up involving a lot more food prep than just supper, though. The forecast called for the temperature to drop precipitously overnight to a low of -10°C (14°F) with a windchill of -20°C (-4°F). I had left a few frost-hardy plants in the garden after the main harvest, but I knew that cold this intense would kill them. 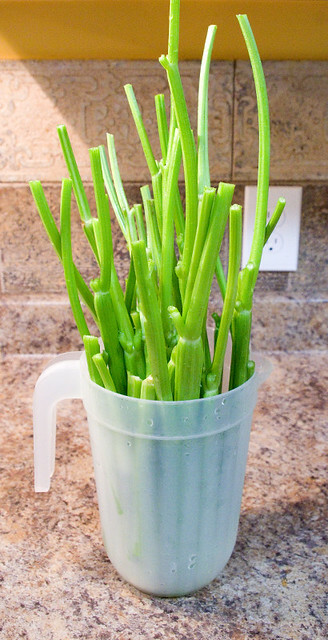 So I had to bring in two good-sized bunches of celery, which I washed and trimmed the leaves off of, then put in a jug of water in the fridge for use over the next week or so. 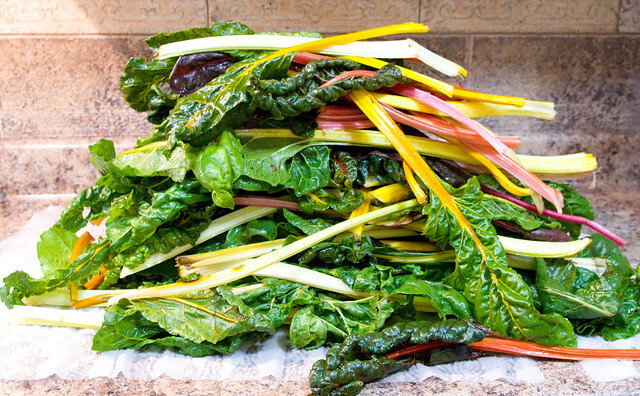 I had a whole mess of Swiss chard to bring in — believe it or not, this was all from only two bunches! 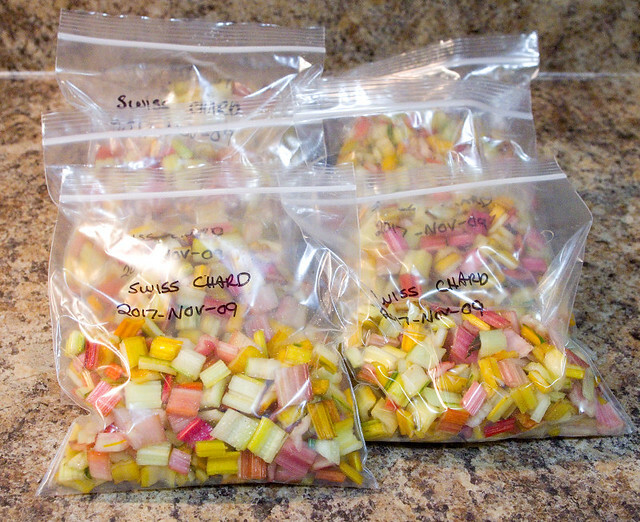 I washed it all, then chopped the stems into bite-sized pieces, which I bagged to freeze in single-use packages over the winter in soups, stews, stir-fries and casseroles. The leaves don’t freeze nearly so well, so they’re still drying off in my sink while I figure out what to do with that much chard. A friend suggested a soup, but I don’t have a recipe yet. 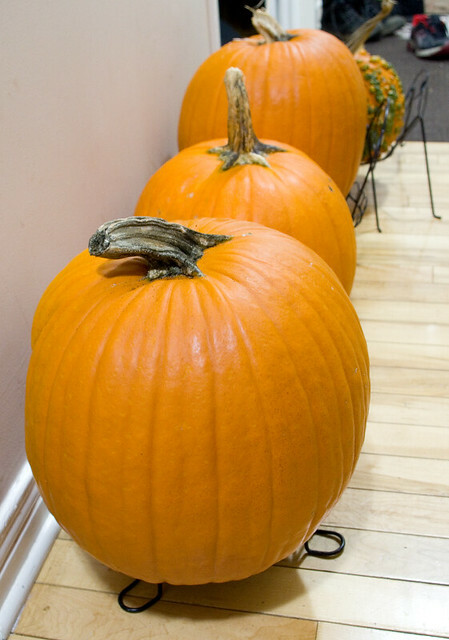 My uncarved Halloween pumpkins had to come inside; freezing isn’t terribly hard on them as a general rule, especially if you’re just going to cook them, but a frozen-solid gourd is really difficult to prepare. Heck, it would take an axe or a sledgehammer just to get through it! I also brought in the last of my summer herbs so they didn’t get frostbitten (along with half a case of Coke that I’d been cooling outdoors since the Halloween party; cool fall temperatures mean that the outdoors makes a great refrigerator for non-perishables). 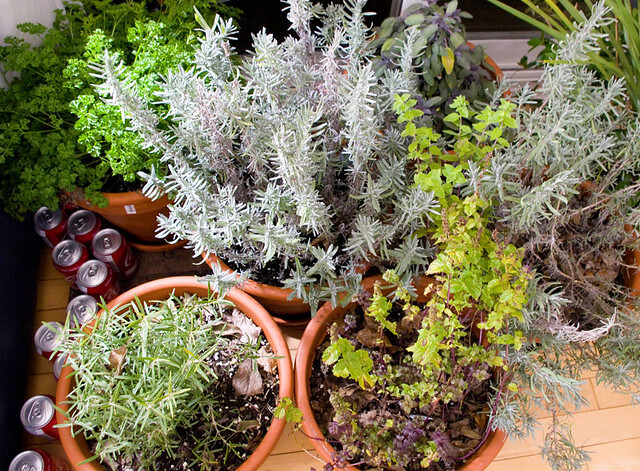 There are two pots of lavender, one of mint, one of rosemary, and one of parsley. Some of them I will eventually dry, others I will preserve (I have an interesting recipe for parsley jelly I want to try). They’d survive just fine in the house all winter, but the pots are quite large and take up my whole patio window. I think I will just plant new herbs in the spring and not deal with the hassle. Posted on November 10, 2017 November 10, 2017 by owntwohandsblogPosted in Cooking, GardeningTagged Cooking, food, garden, Gardening, herbs, homegrown, homemade, plants, sandwich, soup, vegetables.